Every parent is always looking for ways to save on diapers. 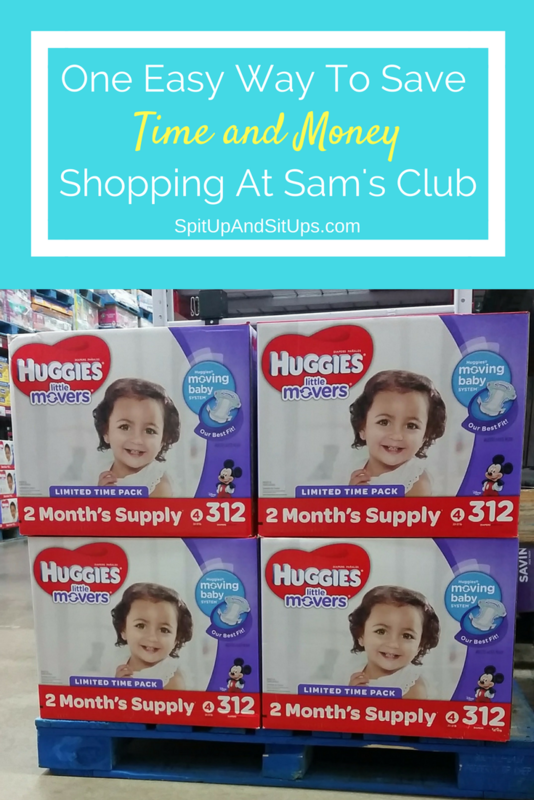 Here’s how to save on diapers with Sam’s Club! The membership for Sam’s Club is so worth it for every parent looking to save time and money. 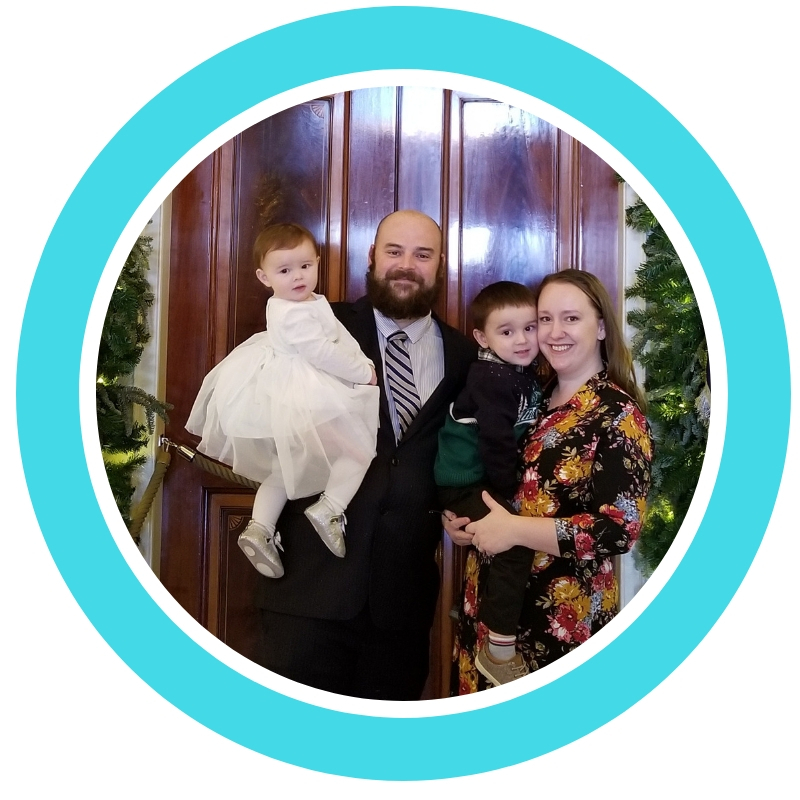 Less time running out to the store to buy diapers means more time with family. 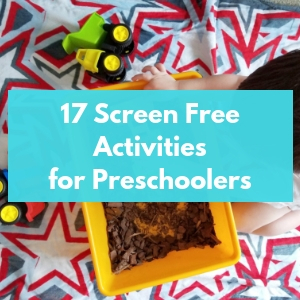 Less money spent on diapers can be spent somewhere else. Like yourself. Despite living in a two bedroom apartment, we buy in bulk from Sam’s Club. We stick to items we hate running out of, like paper towels, napkins, toilet paper, and, most importantly, coffee. We love getting a big piece of meat to cut at home because of the savings, too. Also, we get our Huggies® diapers in bulk when we shop, but between day care’s hourly diaper changing policy and home, we usually replenish our box before we head back to Sam’s Club. I know, I know. Why would we buy in bulk and live in the tiniest apartment? The savings. We love Instant Savings. It typically surprises us at the cash register and is always a welcome surprise. The rewards. We love love love Cash Rewards! When you buy in bulk, the cost of the trip (though a savings over heading to a grocery store), can hit you like a brick. You get $10 for every $500, and up to $500 a year. Club Pick Up. All moms should exercise their rights to pick up and not walk around the store with a toddler. Free shipping on select baby items. Enough said. I love not having to leave my couch to go to the store to get what I need and have it show up for free. 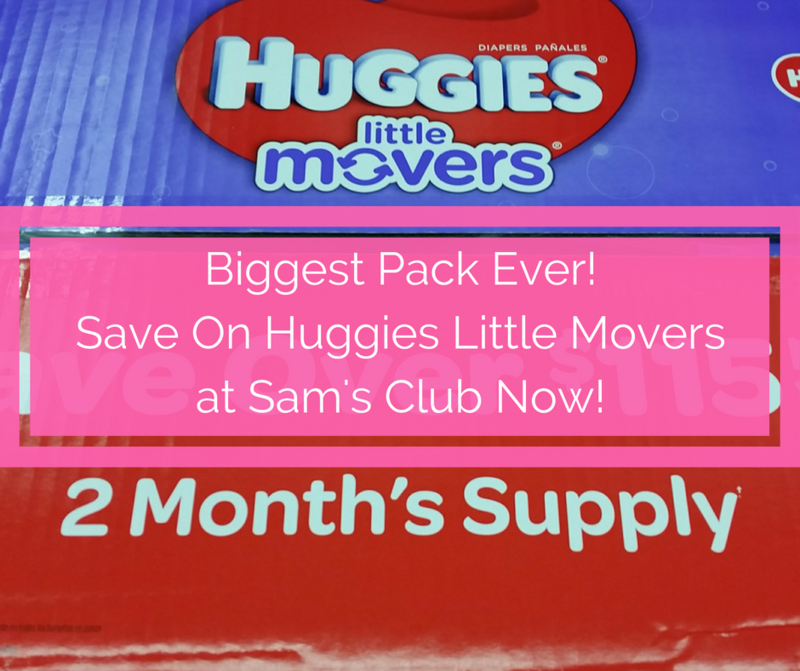 When we found out Sam’s Club had a two months supply of Huggies® Little Movers in size 4, we jumped on the deal. It’s 312 diapers, which is a lot of diapers to go through and we’ll be able to avoid running back to the store. Rion has been in size 4s for awhile now. 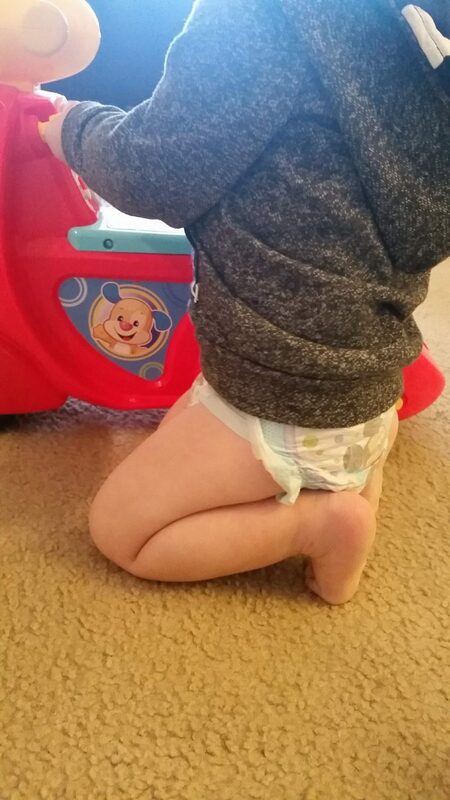 The Huggies® Little Movers are perfect for our toddler. 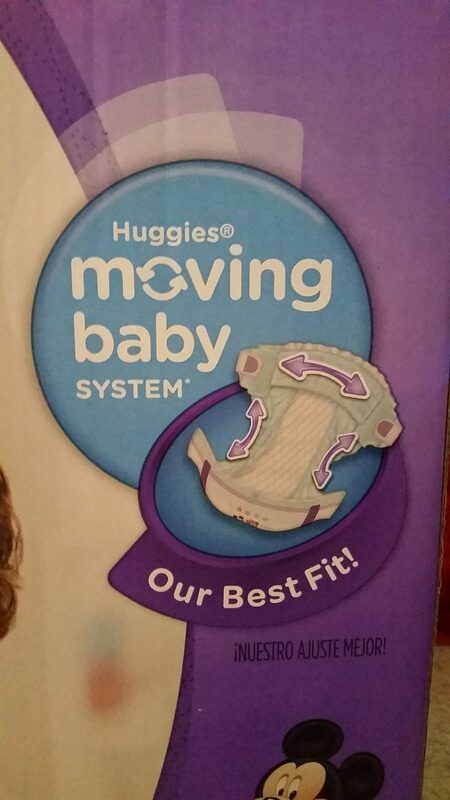 I especially love the double velcro in addition to the moving system. The back is designed to avoid blowouts. It’s actually pretty amazing and we haven’t had a blow out since making the switch. When we brought our giant pack of diapers to the register, the sweet cashier, who was maybe 21, was taken back by how much diapers cost. We had to tell her that this was actually a really good deal. 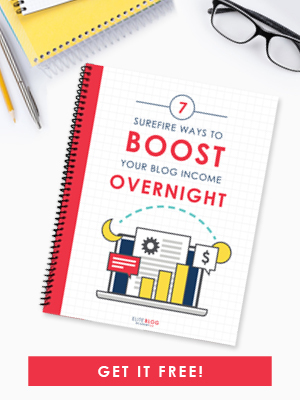 Did I mention the instant savings of $6 right now? We had no idea until the register, making our total $61.98, or just $.20 a diaper. One time we forgot our diapers on our trip home for Thanksgiving. We usually grab one of the sleeves and go. We just forgot. I marked it off on my packing list, but of course just left them behind. We ran to a 24 hour drugstore when we reached our destination four hours away and bought a smaller pack of diapers to get us through the trip. No sale, no deal, no coupon. It was $.60 a diaper. SIXTY CENTS A DIAPER. On top of the cost, it’s only enough to get you through a weekend. Nothing more. 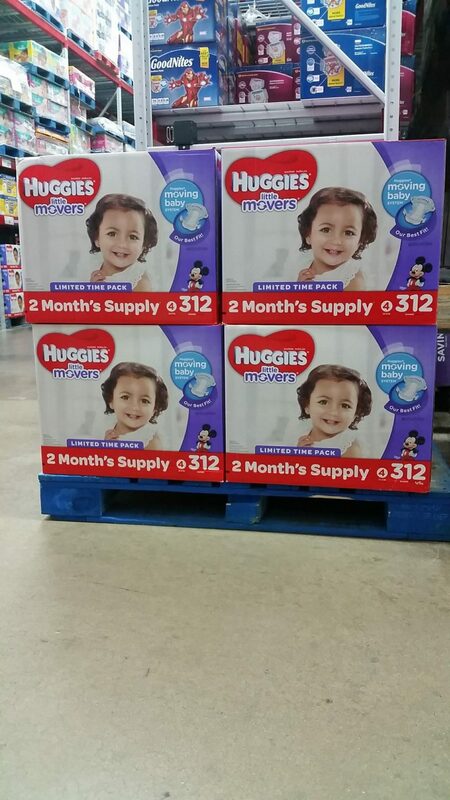 With the Huggies® Little Movers Two Month Supply of 312 diapers, we’re able to get our diapers for just $.20 a diaper. Time for some math. Sorry if you hate math, but everyone loves saving, right? I saved $.29 a diaper just by buying the Huggies® Little Movers Two Month Supply at Sam’s Club. 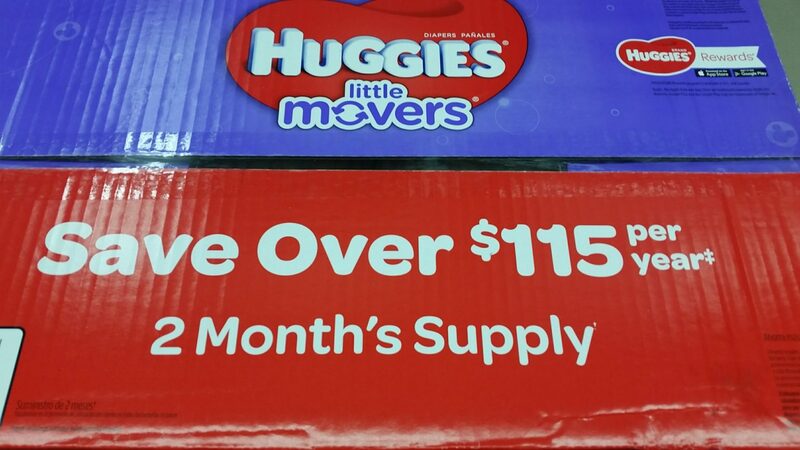 That $6 instant savings on the biggest pack ever of Huggies® Little Movers is available until January 29th and can be used both online and in stores only at Sam’s Club. 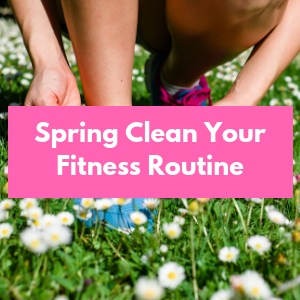 Click here to purchase online. Have it shipped and delivered free or pick it up at your local Sam’s Club. How do you save on diapers? Do you have any additional tips on how to save on diapers at Sam’s Club? It’s such a good deal. The box says “limited time only” but I think this is a great idea for all sizes! We buy our pampers in bulk through Amazon or BabiesRUs. It’s so much easier to buy big boxes and not have to run to the store every week for diapers. Plus it saves money.